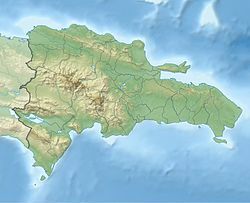 Cayetano Germosén is a town in the Espaillat province of the Dominican Republic. It is also known as Guanabano. It is known for itsfertile soil. ^ "Information from guanabanero.com (Note: this page is in Spanish)". Retrieved December 2, 2018.